The Balfour Declaration was an emotional impetus to the idea that the exile of Israel could and would diminish and end. In November 1917, amidst the then stalemate and endless carnage of the Great War –World War I – the British Foreign Secretary, Arthur James Balfour sent a letter to Lord Rothschild in London offering official governmental support for the establishment of a Jewish national home in Palestine. This letter has become enshrined in Jewish history as the Balfour Declaration. This was he first time in Western history that any country, let alone one of the then major world powers, acknowledged the Jewish right to return to and rebuild its ancient homeland. The letter itself was the usual diplomatic triumph of appearance over substance. It provided the British government plenty of wiggle room to negate, if it wished, the implicit promise of helping to create a Jewish state in Palestine. But the Jewish world was electrified and exhilarated by the publication of the Balfour letter. Chaim Weitzman, then a chemist living in England and one of the main leaders of the Zionist movement, declared it to be the vindication, after only twenty years had passed from Herzl’s dream of a Jewish state. In purely rational and logical dimensions, the Balfour Declaration was a con-game tactic, an illusion much more than a reality, but the Jewish world decided to ignore that. 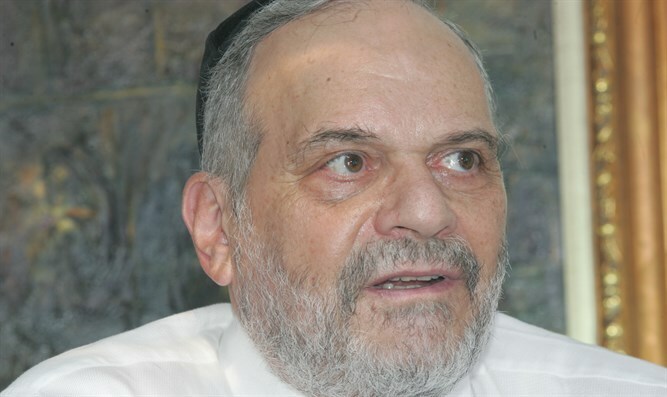 Rav Kook, then the rabbi of the Federated Synagogues in London, said that the letter was the sole positive result of the cataclysm of the Great War. Others were less enthusiastic but all recognized that something of historical note had transpired. The Balfour Declaration was specifically included in the terms of the mandate that the League of Nations granted to Great Britain, to rule over Palestine after the Versailles Treaty that formally ended World War I. However the violent riots of the Arabs against Jewish immigration and British rule in Palestine forced the British to slowly but inexorably repudiate the commitment they made to the Jews. By 1936, with the issuance of a Foreign Office “white paper” and the subsequent anti-Zionist recommendations of the Peel Commission, the Balfour Declaration was completely nullified by British policies in Palestine and in the Middle East generally. Neither Britain nor the Arabs were willing to countenance the idea that a Jewish state could successfully exist in Palestine. And thus after World War II Great Britain became openly hostile to Jewish immigration to Palestine and to the existing Jewish population already firmly ensconced in the country. This resulted in open warfare between Jewish militia groups and the British forces – over one-hundred-thousand strong – with bitterness and casualties constantly rising. Britain detained over thirty thousand Jewish refugees from the Holocaust in prison camps on Cyprus and refused to allow any Jewish immigration into Palestine. The situation was desperate on both sides but England finally cracked, announcing its withdrawal from Palestine to take place on May 15 1948. And the rest is miraculous history. In purely rational and logical dimensions, the Balfour Declaration was a con-game tactic, an illusion much more than a reality. It was worded ambiguously, in such a way that the Jewish national home was contingent on not affecting the rights of the Arab population of the area. In effect, this precluded any Jewish national home from ever coming into existence. But the Jewish world generally ignored this inconvenient fact. 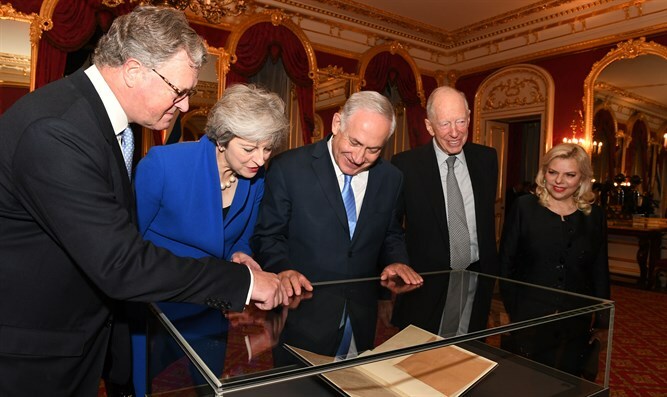 The Balfour Declaration served to grant legitimacy - moral, if not exactly legal – to the hopes of the Jewish people to return as a sovereign national entity to its ancient homeland. It was an emotional triumph for the Jewish people. It revitalized the Zionist movement after the horrors of the Great War. It generated immigration from Eastern Europe and, in hindsight, we can certainly conclude that those who left Europe then were saved and most of those who remained were doomed and destined for destruction. The Balfour Declaration was an emotional impetus to the idea that the exile of Israel could and would diminish and end. There can be no greater weapon for progress than the psychological belief that positive change is about to happen. The Balfour Declaration provided that psychological boost for the Jewish psyche, when the world they were accustomed to living in was collapsing all around. That by itself was and is of inestimable value to us and that is why this 100 Anniversary commemoration is of justified importance.